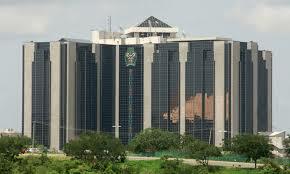 Nigeria’s manufacturing sector is still expanding but it is doing so at a slower pace, a new Central Bank of Nigeria (CBN) monthly purchasing manager’s index (PMI) covering September has shown. At 56.2 index points, the PMI indicated expansion for the eighteenth consecutive months, although the rate of growth was slower compared to the month of August, according to the survey results. Analysts have hinged the slower pace of growth in manufacturing on a slower pace in demand and reduced cash in circulation. Out of the 14 sub-sectors surveyed, 10 reported growth in the review month in the following order: electrical equipment; printing & related support activities; transportation equipment; nonmetallic mineral products; chemical & pharmaceutical products; fabricated metal products; furniture & related products; textile, apparel, leather & footwear; food, beverage & tobacco products; and plastics & rubber products. On the other hand, the petroleum & coal products; cement; paper products; and primary metal sub–sectors declined in the review month. The Manufacturing and Non-Manufacturing PMI Report on businesses are based on survey responses, indicating the changes in the level of business activities in the current month compared with the preceding month. The September 2018 PMI survey was conducted by the statistics department of the Central Bank of Nigeria during the period September 10 – 17, 2018. The respondents were purchasing and supply executives of manufacturing and non-manufacturing organisations in all 36 states in Nigeria.